In this July 28, 2016, file photo, Lindsey Buckingham, formerly of Fleetwood Mac, performs at the Los Angeles Dodgers Foundation Blue Diamond Gala at Dodgers Stadium. 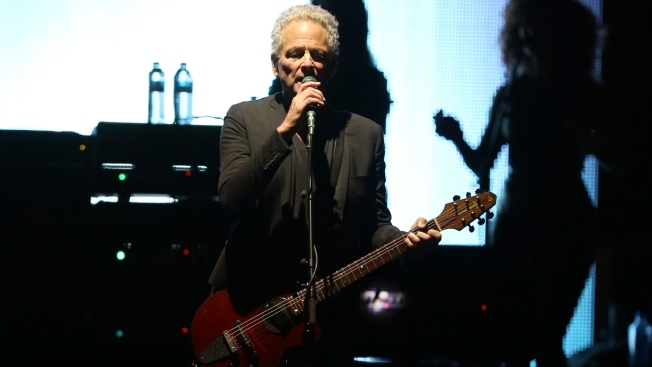 Fleetwood Mac singer and guitarist Lindsey Buckingham is suing the group after they kicked him out, NBC News reported. The lawsuit filed this week in Los Angeles County Superior Court says he was kicked out of the band, which cost him at least $12 million in tour proceeds. He was a member of Fleetwood Mac on and off for 33 years, writing hits like "Go Your Own Way." The suit seeks unspecified damages, attorney's fees and interest on money he claims he is owed as a legal "partner" of the act. "I remain deeply surprised and saddened, as this decision ends the beautiful 43-year legacy we built together," Buckingham said in a statement. A publicist for the group did not immediately respond to a request for comment.